Looking back at my last week there seems to be a purple theme going on. . . rather unintentionally. Funny how things like that happen sometimes. My next collection has some purples and pinks in it, not two colors I thought I'd be wanting to work into a collection anytime soon, but it has just felt right. Purple was my favorite color as a kid and into my teen years, but was eventually usurped by greens and browns. I love how things come full circle without our even trying to make it so. * My worktable in my studio. Last week as I worked on the new collection, things got a bit messy and chaotic. 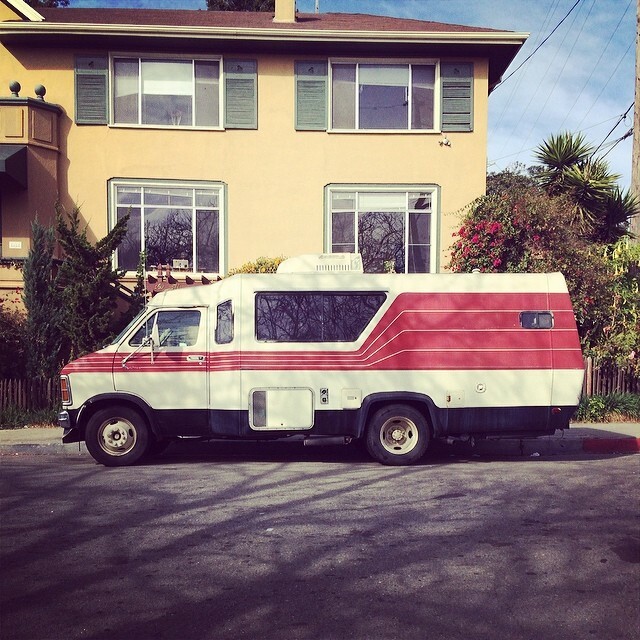 * An old RV in my neighborhood. Inspiration for the series of art prints Tangleweeds will be releasing in the late spring. * A mug of chai and some new crescent moon designs. These are a variation of of this moon design and will be part of the new collection. Pretty excited for these, especially the double crescent moon lariat-style necklace. * Jeff with Arlo in our (pink) kitchen. That cat loves him some love. I've got Etsy and Shoppe orders to work on today. Hoping everyone is having a good week so far!